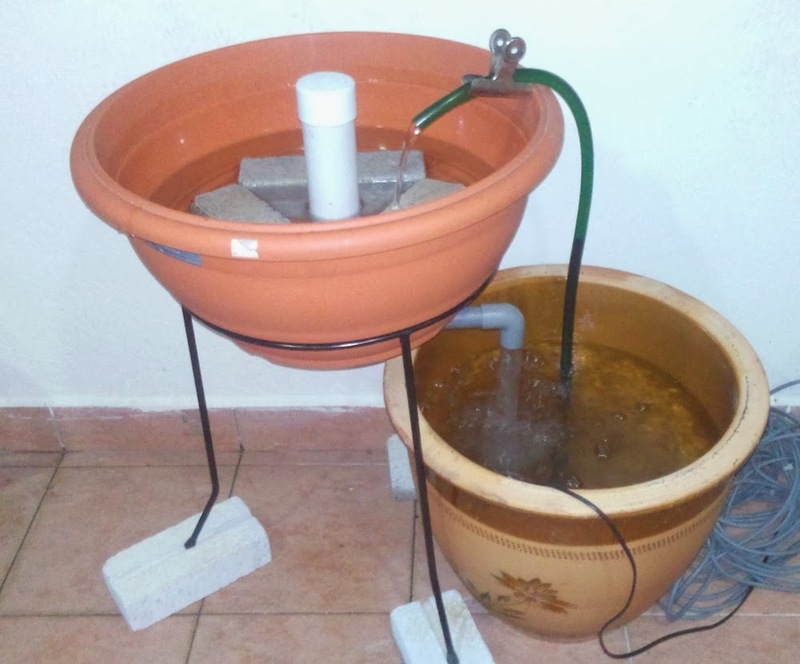 It all started with my daughter request to make a small aquaponics unit for demonstration purpose, then it strike me that people are more interested in Ornamental than Practical Aquaponics. 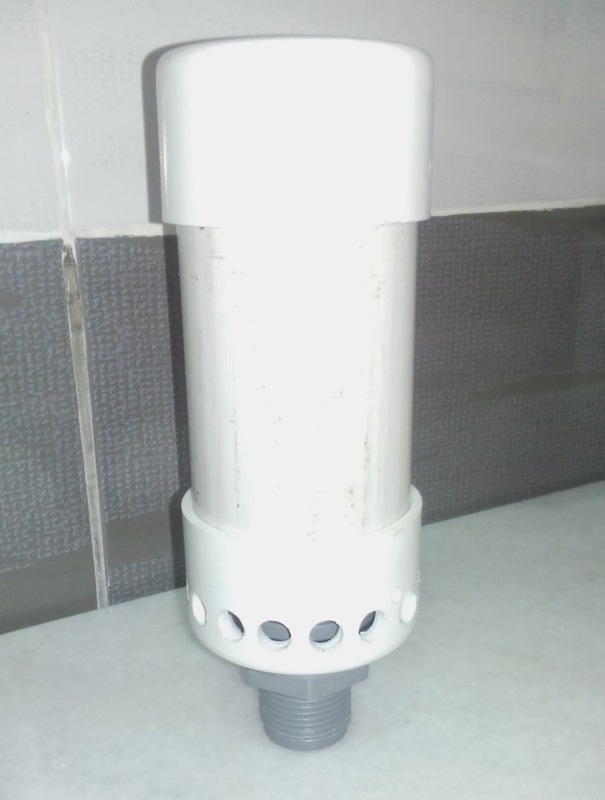 Made a small kit, it is undergoing testing to see whether the siphon will work without hiccups. 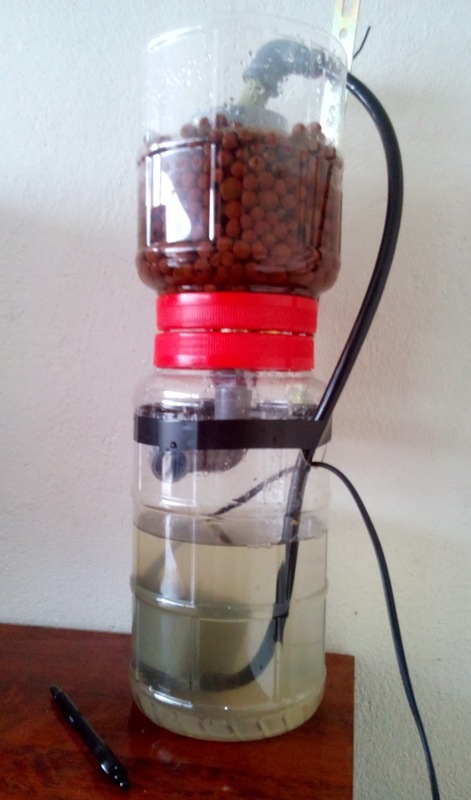 Ornamental Aquaponics something new to thinker about, I specialise in flood and drain so it will be no brainier to figure out that I must do it with a siphon. The problem is to get a reliable siphon at such a small inflow, I did made a tiny siphon with 15 mm pvc but at that size it is unreliable. I had also made a 20 mm siphon, but it is too big for this tiny unit, so I decide to try a hybrid of 20 and 15. It works !!! video below as I post yesterday. Okay, now let do it seriously, to be ornamental it must be pretty... right.. that one factor that cost money. Anything pretty must cost money... so.. since I manage to get the siphon works really well.. now to get the pretty factor. First try below... , still ugly.. well.. it doesn't cost a bomb.. what do you expect... once I know it work.. then I will do a make over. I use mini "strainer bell" or "bell less" siphon for this set at the moment, will revise to a different design. It is difficult to get parts at this size. The siphon below is the shorter version from above. Growbed is a water plants flower pot, they do not have holes on the bottom. I make a hole for the 20 mm stand pipe and an outlet as usual. 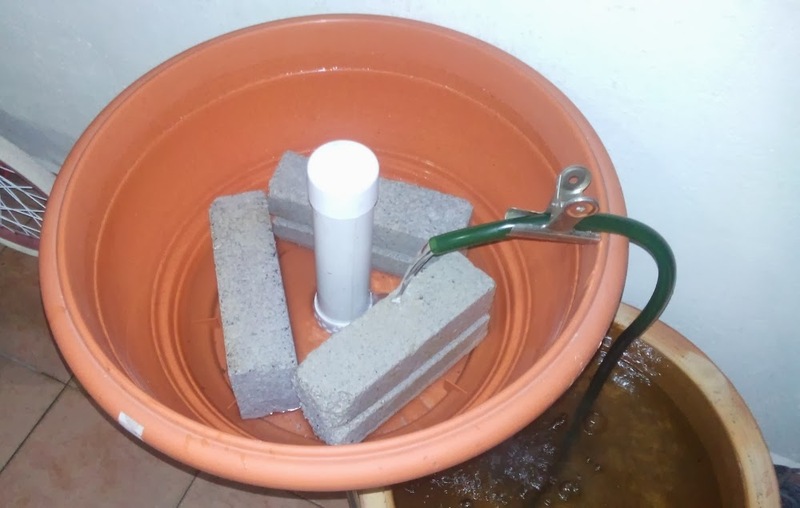 Bricks were use as a ballast, so that not much water needed to fill the grow bowl since it is not filled with LECA yet. Water pump is at 500 liter per hour rating, from the flow it looks much less that that. Ideally the grow bowl should be directly above the fish tank, I must modified the stand to make it stand on top of the fish tank. Will test this for next few months and on the mean time I hope it will get prettier by itself.